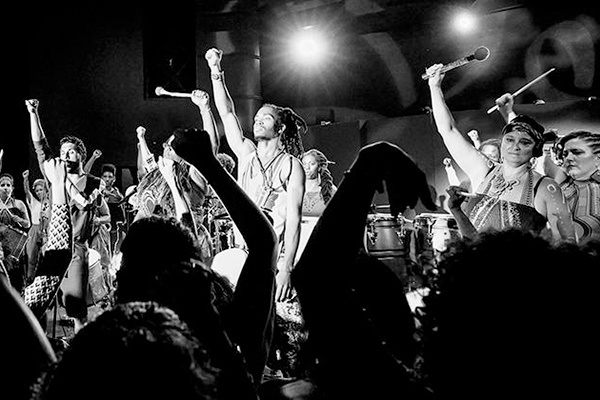 Extra Ancestral, a collective of artists at the forefront of contemporary Afro-Latin music and dance, takes the Skirball stage to celebrate the African diaspora in LA. In the 1960s and 1970s, black people in the diaspora looked to the African continent for inspiration and connectedness to their ancestral heritage, finding a shared sense of Pan-Africanism. Today, Afro-diasporic cultures continue to influence both American and global cultures. Featuring members of Jungle Fire, Ethio Cali, and Capofresh Ensemble, and a special performance by Viver Brasil Dance Company, this program is sure to uplift. Arrive early to view the exhibition: Black Is Beautiful: The Photography of Kwame Brathwaite will be open to ticketholders from 5:00 to 7:00 pm.